The Town of Stavely is a thriving community of approximately 541 residents and growing. Located between Lethbridge and Calgary, an hours drive from either on Hwy 2, Stavely is surrounded by ideal ranching and farming areas. Rolling prairies to the east and foothills to the west include camping areas, fishing and hiking trails. Newcomers to the town and area will welcome the openness, friendliness and community spirit that the residents of Stavely pride themselves on. The polling stating will be at the Arena, however, I do not have hours as of yet. As soon as I do, I will post it here and on the Stavely Happenings FaceBook page. The RGO is responsible for assisting electors in adding their name to the voter's list, by completing a declaration for the elector wishing to vote. The IO is responsible for determining if electors are eligible to vote, if they are on the voter's list, and for directing them to the correct poll. The DRO is responsible for assisting electors with the voting process and for responding to questions from the electors. The Poll Clerk is responsible for maintaining the poll book and for recording information about the voting process, as voting takes place. If you are eligible to work in Canada, interested in the democratic process, committed to helping others, and have good communication skills -- we have an opportunity for you! Staff will be paid a rate of $255 for polling day duties, plus an additional $75 for completion of online and classroom training. NOTE: Individuals must be at least 16 years of age, to apply. 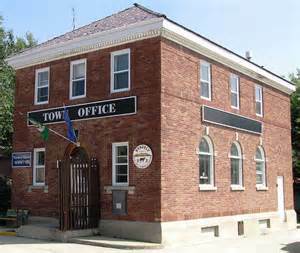 ***The Town of Stavely is looking for a volunteer to act as the Town of Stavely Director of Emergency Management (DEM). This Council appointed position will oversee all activities related to emergency management which includes development and approval of the municipalities emergency plan, training, exercises and coordinating a response to an emergency or disaster on behalf of the municipality. If you are interested or would like additional information, please contact the Town Office at 403-549-3761 or email cao@stavely.ca. The Tournament Listing for the Stavely Golf Course is now updated for the 2019 Season and can be found under Around Town, Stavely Golf Course. Check out the dates, join in for fun, a round of golf, lots of laughter and great food. All types of golfers welcome, good, sorta good, great and the rest of us!! 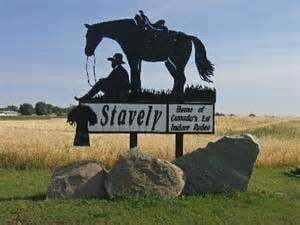 Mayor Hall and the Town of Stavely Council announces that Clayton Gillespie has resigned from his position of Chief Administrative Officer to pursue an opportunity to work for the Town Nanton. Clayton will continue to stay on as the towns CAO until January 30 and will help in the transition of a new CAO. The Town Council and the Governance Committee is committed to finding our next CAO and will start the recruitment process immediately. Clayton’s professional demeanour and personable character has been appreciated and he will be missed. We wish him and his family all of the best. RV Campground: Fifteen fully serviced sites are available. The campground has on-site showers, water, power and toilet facilities during the summer season, which runs from the May long weekend to October. Fees are payable in a drop box or at the Town Office during office hours. NO RESERVATIONS ARE REQUIRED, THE CAMPGROUND RUNS ON A FIRST COME, FIRST SERVED BASIS. Fees are $30.00 per day. Weekly and monthly rates are available, for further information regarding rates or any other questions, please contact the Town Office at 403-549-3761 during office hours.